Kindle only supports books purchased from Amazon, using their own Kindle format (mobi, azw, azw3, and others). Anything bought from another store will not show up on a Kindle device. DRM restrictions protect most of our purchased ePub books. These limit which readers can be used with the ePub files. Google, Kobo and Sony all use DRM. 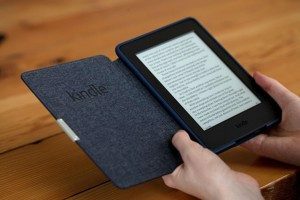 If the problem is a lack of compatibility between the device and the ebook format, there are two ways forward: either change the file format of the book, or change the properties of the device. Fans of e-books may be familiar with Calibre already; it’s a free ebook management tool which also converts e-books from one format to another. You can use it to help convert your ePub files to formats including mobi which is the best of the Kindle formats. You’ll need to download Calibre, launch it, then add your downloaded epub books. Then select the books, and click on the “Convert Books” icon. Choose the mobi output format, press OK and away it goes. – Pros: Free, converts any format to another; allows you to edit ePub metadata; includes e-reader application for your computer. – Cons: Can’t convert DRM ePub to Kindle (unless you install DeDRM Plugins); requires installation. Many conversion tools are available online. This is the most straightforward way to read ePub books on a Kindle Paperwhite. – Pros: It’s free; no need to install software on a computer; very fast conversion of files. – Cons: Can’t convert DRM ePub to mobi; no batch conversion – can only convert files one by one. Epubor – Supports multiple file formats. Conversion with output in ePub, pdf and mobi formats. Zamzar – Well regarded free online file conversion service, with some well written introductions to introduce each of the file extension types. CloudConvert – This conversion site supports 199 formats, with good introductions to features of each one. It also assists with sending files to Dropbox. This method is for people who aren’t interested in Kindle’s restricted services. If you prefer to use a limit-free systems, this will be your choice. KOReader is an ePub reader that started life as Kindle PDF Viewer on the original Kindle e-ink reader. It has evolved to support ePub too, and converts this format of e-book to a PDF layout. Further details and instructions are available in the KOReader user guide.